Whether for food, pharmaceuticals, or other types of sensitive products that need to be stored in low temperatures, making the most of the available cold storage space is a constant concern for many warehouses. Above and beyond the typical warehouse storage concerns, maximizing freezer space is a priority for warehouses due to their need to keep products safely stored and regulated. If non-perishables get stored incorrectly it can, at worst, affect productivity, whereas misused freezer space (or products not being stored as designated) can lead to product spoilage, causing a major safety concern for workers and consumers, not to mention the impact it can start having on your bottom line. 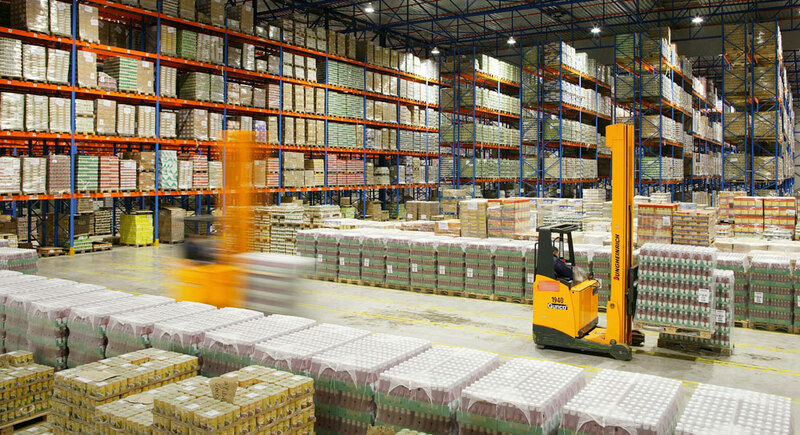 Except in extreme cases, forklifts generally aren’t used in cold storage areas for a number of reasons, and this means you have some flexibility in the width of your aisles. Consider moving to narrow aisles or very narrow aisles to increase the amount of space you have available for storage shelves and additional product. This will allow you to fit more shelving and product in your cold storage areas and reduce the risk of missing products or lack of space. The blockage of air flow is a constant concern in many warehouse freezers and cold storage facilities. Improper air flow can lead to product spoilage, overworked freezer motors, and more, all affecting your productivity and bottom line. Try to arrange your shelves in a way that doesn’t block vents and blowers to encourage better air flow, and wherever possible use open shelves like wire shelving and pallet racks to maximize the flow of cold air. Depending on the size of your current freezer area, you may need to consider high density storage. Find a shelving method that can be moved along tracks or in a path to allow better access to products while reducing the overall ‘footprint’ of the shelves to allow for greater mobility and overall storage in the freezer itself. “First in, first out” (or FIFO) is a common picking practice for a lot of items, but with freezer storage it should be crucial. Anything being stored in a freezer is going to come with an expiration date, and FIFO is a good way to maintain product life cycles for safety and keep products flowing into and out of the freezer in a way that can ensure products don’t stay in the freezer longer than needed.